Could anyone help me with this problem? 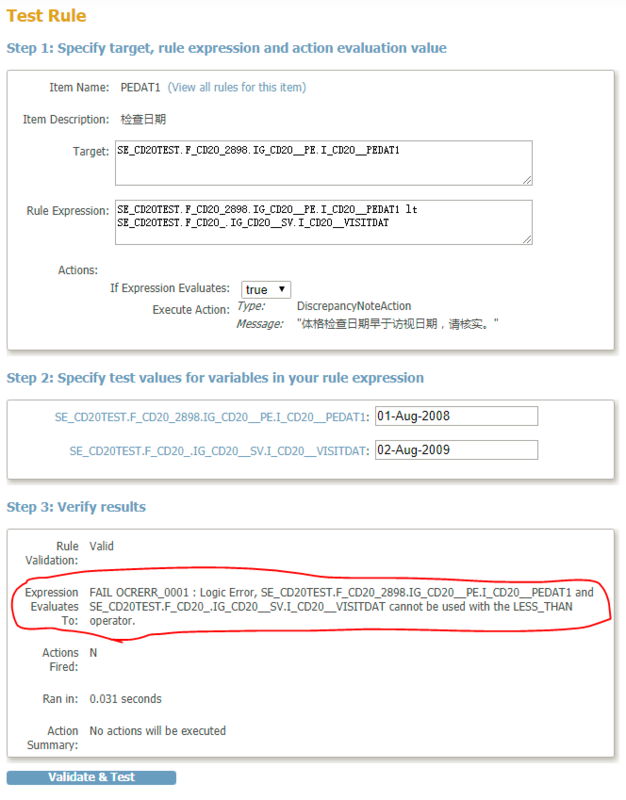 I created a rule to compare two dates (both in format of date, not pdate) and test it, but the result shows that the variable cannot be used with Less_Than operator (please refer to the attached screenshot). I am confused now and anyone who can tell me the reason? Thank you very much and best wishes! The test rule functionality does not work correctly for some scenarios. To test if your rule is working or not, you need to add a subject, then enter dates for the subject and create a scenario so that the rule triggers. It is surprising that your rule can't be tested: I use this check often and don't have a problem with the lt-operator. Can you upload the metadata of your study so we can have a look at those?